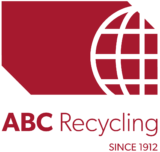 Roll off bin, trailer, flat deck, crane truck, off site demolition, barge service, to name a few, are services available through ABC Recycling Campbell River. We specialize in New and Used Steel in all kinds of shapes and sizes as well as equipment parts and components. For information please call 250-286-3504. Cash, cheque, Visa, Mastercard or debit accepted.